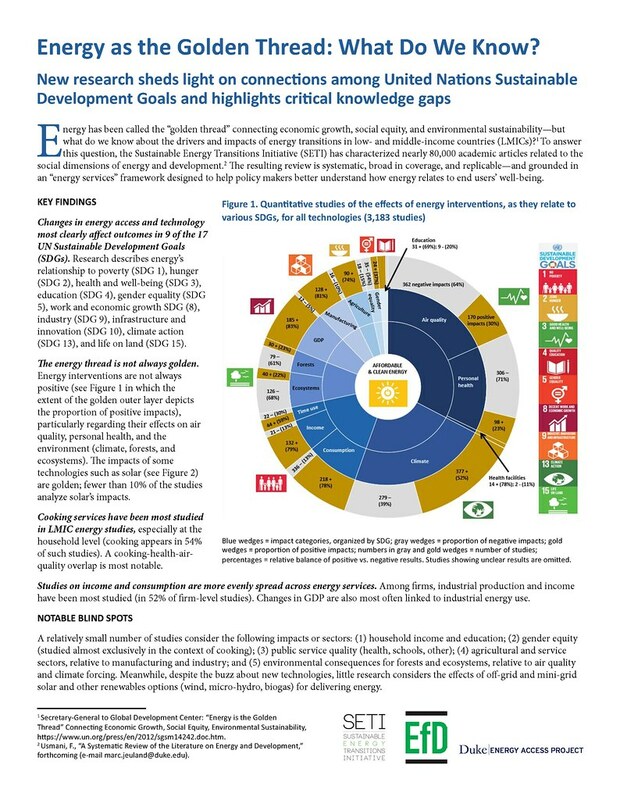 Energy has been called the “golden thread” connecting economic growth, social equity, and environmental sustainability—but what do we know about the drivers and impacts of energy transitions in low- and middle-income countries (LMICs)? 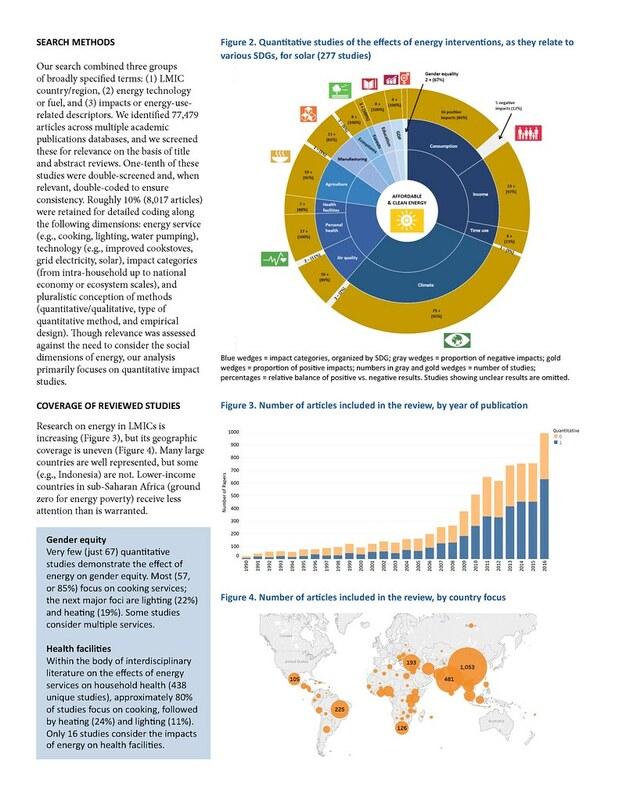 To answer this question, the Sustainable Energy Transitions Initiative (SETI) has characterized nearly 80,000 academic articles related to the social dimensions of energy and development. The resulting review is systematic, broad in coverage, and replicable—and grounded in an “energy services” framework designed to help policy makers better understand how energy relates to end users’ well-being.